Say goodbye to all obsolete ways to download MP3 from YouTube. 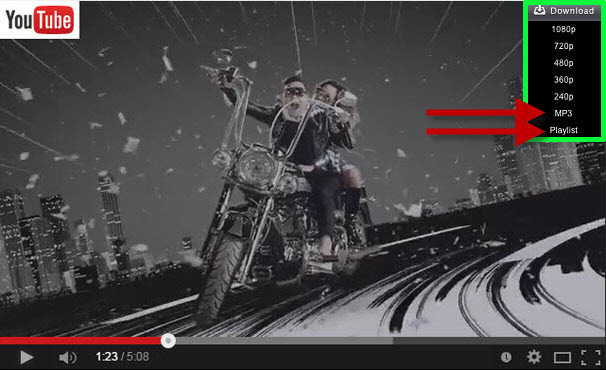 Do you see the MP3 option at the right corner of the YouTube video? Yes, AllMyTube gives you the easiest way to save YouTube videos to MP3 files. Try now! 1. Copy the URL of YouTube video and paste to online YouTube to MP3 converter, one MP3 per time. 2. Copy the URL of YouTube video and paste to YouTube downloader for Mac app to download the video first. When downloaded the video, convert it to MP3 format. Sounds easy? Yes, but Wondershare AllMyTube for Mac brings it to the next level. Only one click, you get MP3 files from YouTube videos. You can also download MP3 files from an entire YouTube playlist! AllMyTube is your best companion to enjoy YouTube music. Fast and Easy - YouTube to MP3 Is AT YOUR FINGERTIPS. Speaking of best site to download MP3 files, YouTube is absolutely your first choice. Lots of singers would upload their music videos officially to YouTube. All of them has premium sound quality. What you need is only a YouTube to MP3 downloader for Mac to get your favorite music offline so you can play it anywhere. 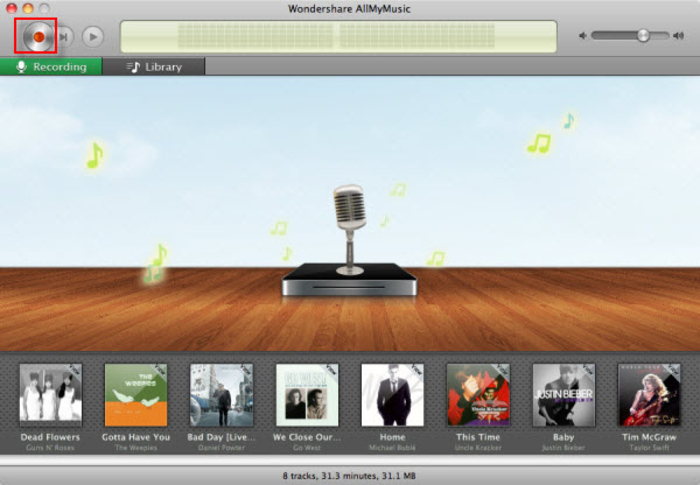 Wondershare AllMyTube for Mac is highly recommended. Firstly, download and install it. Simply drag and drop the AllMyTube app folder to Applications folder or any folder you want. The extract process is the installation process. Make sure you close Safari, Chrome or Firefox before installing. Secondly, go to your web browser's extensions page to make sure the addon is working. If it's disabled, enable it to show the download menu with an MP3 option. If you don't like the download menu, you can use the Paste URL method. Thirdly, browse and enjoy YouTube music video as usual. If you like it, move your mouse on the video, when the download button appear, hang over it to choose MP3 and then click to start downloading MP3 from YouTube video. If you copy the URL of YouTube video, you can simply click the Paste URL in AllMyTube to start downloading. The playlist option allows you to open up a selection window to choose downloading MP3 files from a list of YouTube music videos. Wondershare AllMyTube for Mac lets you easily extract audio from online streaming video. This is generally enough for common users, but not enough for serious music enthusiasts. When talking about music sites, Pandora, Spotify, GrooveShark, Napster, AOL, Rhapsody, Yahoo Music, Deezer, iTunes Radio and hundreds of online radio stations are excellent music sources. Wondershare AllMyMusic is a product specially designed to record music from these sites and do much more. Recording YouTube to MP3 is also supported. Download video from 100+ video sharing sites like YouTube, Vimeo, MTV, Vevo, Hulu, Facebook, Yahoo Video, etc. Record music from 100+ music sites like YouTube, Pandora, Spotify, Grooveshark, Rhapsody, Deezer, Yahoo Music, etc. AllMyMusic: Record Unlimited Music for Totally Free From YouTube, Pandora, Spotify, iTunes Radio, etc.